If you focus on one smart technology feature during the winter months, lighting should be your top priority. Lights will have to bear an added load as the days become shorter. Link your lights to motion sensors and astronomical clocks to make sure you have the right illumination on all walkways. This is especially important after storms when snow or ice can become dangerous tripping hazards. Having longer nights also significantly affects your mental wellbeing. Everyone’s heard of the winter blues. With less sunlight, your circadian rhythm gets disturbed, resulting in poor sleep and depression. Adjust your circadian rhythm with tunable lighting from Ketra that recreates the hues of natural light throughout the day inside your house, regardless of the outside conditions. 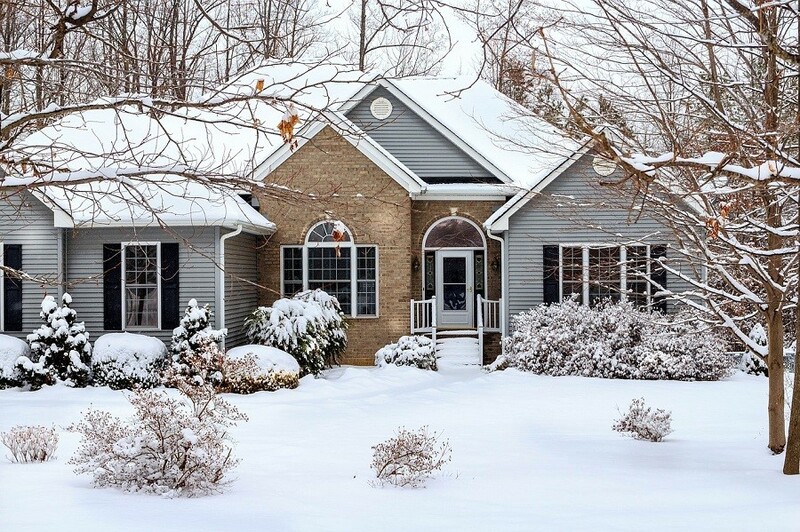 There also needs to be a big focus on finding effective ways to keep your home warm. Elevate your climate control with a smart thermostat that anticipates your needs. Program the temperature to rise when you wake up in the morning and get back into energy-saving mode when you leave the house. Link your thermostat to occupancy sensors to ensure you’re not wasting energy warming up empty spaces. But why should your thermostat be the only one responsible? Give it a helping hand with a smart shading solution. Your home automation system commands shades to close at specific temperature thresholds to keep warm air from leaking out of your windows. Lutron offers a variety of honeycomb roller shades specifically designed for this purpose. With the snow mounting and the temperatures in single digits, there won’t be any hurry to leave the house. So how can you keep the family from going stir-crazy during extended snow days? We recommend a media room design that makes it easy for the family to watch movies, sports games, or TV shows. With your home automation system, find what you want to watch with just a few taps on a dedicated touchpad or smartphone. As the holidays approach, play music throughout the house to set the right atmosphere. Add a multi-room audio solution that lets you pull up your favorite artists and choose which speakers throughout the house to play them in. More importantly, you can create unique audio zones so the grinches in the family can get away from the holiday jingles and set their playlist in their own area of the house. We don’t blame you if you decide to leave in search of greener pastures. Whether you’re a snowbird or just going on an extended family vacation, your home automation system gives you peace of mind while you’re away. Set “Vacation” scenes that recreate your typical routines through lights and shades; your home looks occupied even when you’re gone. From a smartphone, check in on live surveillance footage from anywhere in the world to make sure everything is fine back home. Do you want to create the perfect escape from the Connecticut winter weather? Find out how our smart technology solutions can help. Just call us at (203) 653-5025 or fill out our online contact form.